MAJESTICALLY perched on the top of a knoll taking advantage of the MILES OF CITY VIEWS to the North. 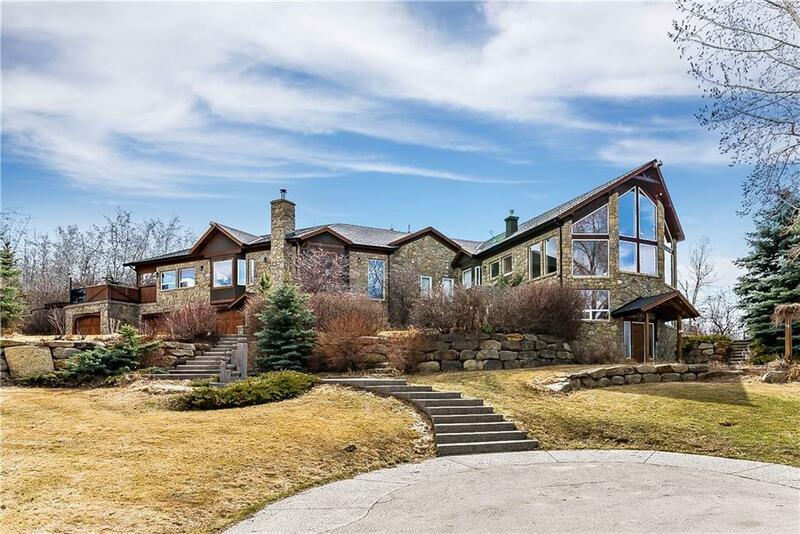 Backing onto a FOREST OF TREES to provide privacy and only minutes from Calgary this property is sure to delight. 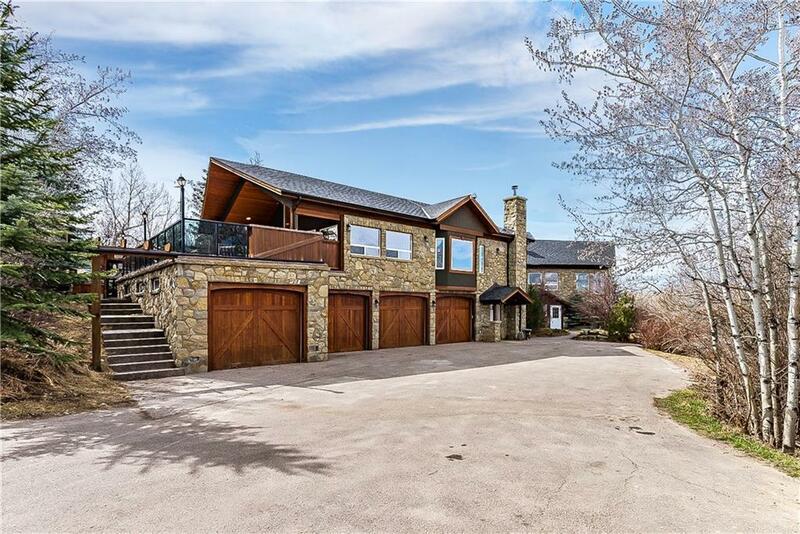 EXTENSIVE UPGRADES done in 2004 this UNIQUE home boasts STUNNING EXTERIOR STONEWORK, woodwork and is loaded with windows for natural lighting throughout. 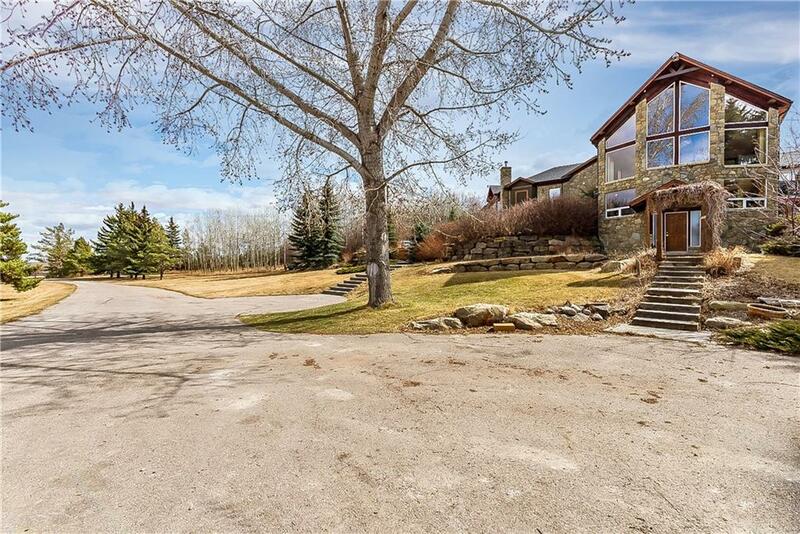 ABSOLUTELY OUTSTANDING property with over a million dollars spent on the pavement, concrete walkways and patios, retaining walls, irrigation,outdoor sport court/ice hockey rink, heritage style barn with HiHog stalls,greenhouse, and shop.You will be AMAZED with the warm, inviting home with over 7,000 sq. 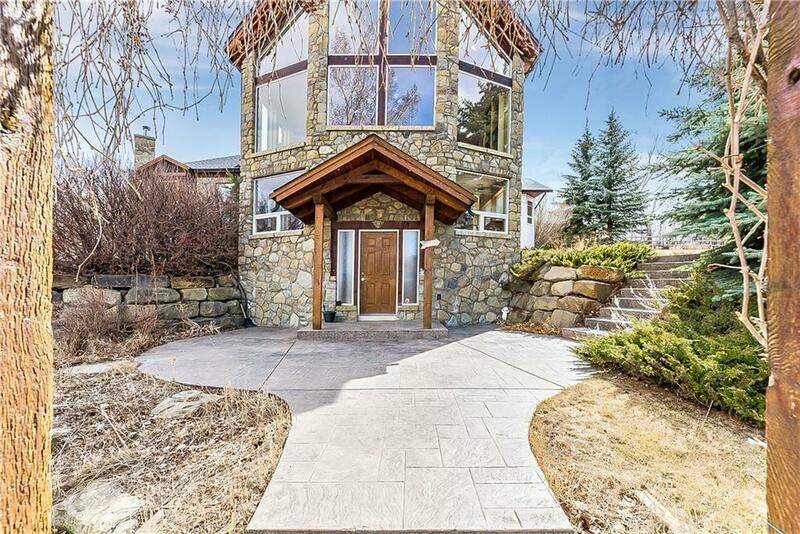 feet offering 6 bedrooms and 5 bathrooms. Superbly setup for entertaining the greatroom with vaulted ceiling and wonderful massive GOURMET STYLISH KITCHEN offers jenn Air built-in fridge, 5 burner gas cooktop, 2 dishwashers, double ovens and warming drawer plus granite countertops and huge island.Four Car attached garage fully heated plus shop.